We all have our favourite items of kit; sometimes it’s a case of trial and error to get the right gear though. Here’s some of our tried and trusted items, rest assured that all these products do exactly what they say on the tin. Ok summer is here (allegedly) so you’ll need some decent multi functional kit. RST are a British brand, designed in Derbyshire and this Adventure combo is packed with features, like MAXTEX 600d polyester and BALLISTIC 1680d Nylon outer shell, removable breathable waterproof membrane and quilted lining, RST Contour CE back protector, shoulders, elbows and knee protectors, ventilation panels, camel pack hydration pouch, 360 heavy duty connection zip, multiple pockets, Teflon coated outer, zip off sleeves and removable map pocket. It comes in two colours; sand, or black/gun. The jacket costs £219.99 and the trousers are £179.99. I’ve worn them for a few thousand miles now in extremes of heat, cold and wet and they’ve been faultless. 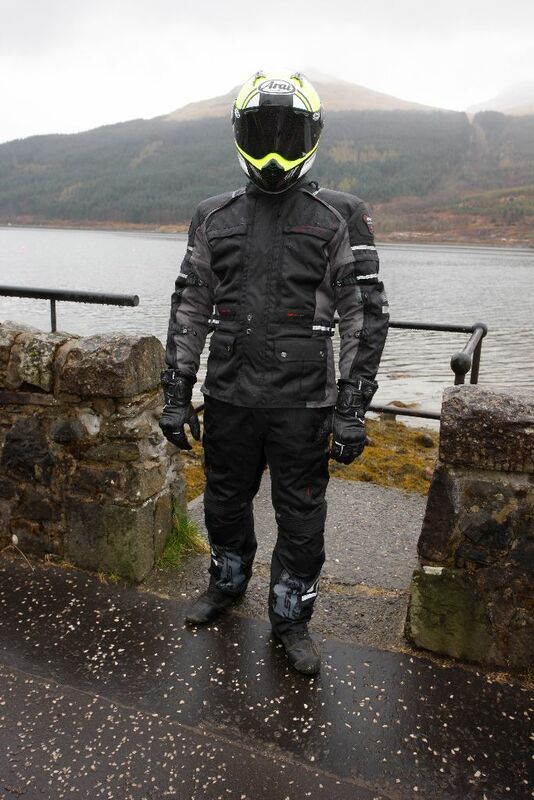 They keep the water out and when it warms up there’s loads of ventilation zips and pockets to keep you cool. They’re designed well, look good, aren’t overly expensive and they do the job. 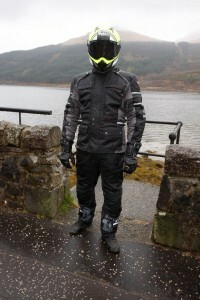 Visit www.rst-moto.com and watch the video to see the full features. The gloves use Knox’s patented OutDry® lamination process, which means the waterproof and breathable membrane is bonded directly to the glove’s external shell which creates a unique body and seals the stitching and any other potential water entry point. The gloves also feature the dialled-in Boa Lacing System that uses a dial to draw ‘side pods’ over the wrist for multi-adjustable closure, the wearer can get hands in and out of the ZERO quickly and easily, even operating the Boa dial with a gloved hand. Boa’s micro-adjustment helps to eliminate tight spots and restriction to blood flow, which can contribute to cold hands and fingers, and allows proper positioning of the ZERO’s cuffs over thick winter riding jackets, helping to keep out wind and rain.